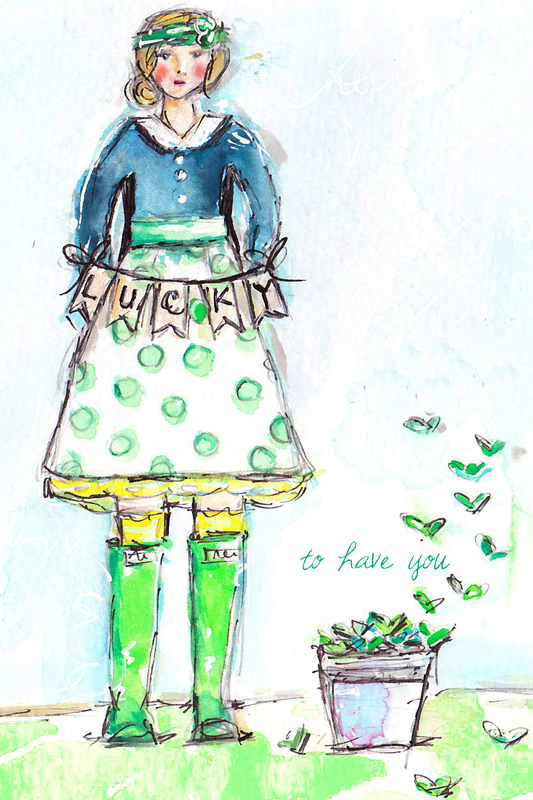 christytomlinson: Happy March & Free Watercolor Girl Printable! Hello sweet friends and HAPPY MARCH! I taught how to paint portraits and girl..
AND it was so fun and really inspiring to watch by ben, my hubby teach for the very first time! Everyone LOVED this class! infact, they loved it so much, they were still creating his fun canvases on their free days! I am so proud of him and just happy he came and was my teaching partner this time! I took my Midoro, my travelers notebook with me, and make sure to document my week while I was there! I also used it to do watercolor in and sketching and doodling in. It was AWESOME. of course at the Mexican Art Supply store, AND the paper store.. AND the fabric store. I couldn't resits. So many things to be inspired by! Speaking of inspired.. I wanted to share with you something I painted last year, for the "lucky" holiday, that we have coming up! A fun watercolor Boot Series girl in a green, yellow and navy color scheme.. perfect for March! Simply click on the download below! (ps, my online Boot Series Workshop, is still available to sign up HERE, it's a full online workshop, showing you how to sketch, paint and make your own boot girls! 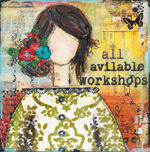 Great class for beginners and people who don't know how to sketch or use watercolor!). I have some fun things planned for this month, right after we get back from our trip to Seattle, so watch for it coming to the blog! If you don't already follow me on instagram.. I have two accounts! one for my persona/creative artsy stuff.. christytomlinson, and one for my new planner love and addiction! theplannersociety so come follow along! I love your art! Thanks for the free printable! You never disappoint!!!!!!!!!! Thank you for your generous heart and beautiful painting! Thank you for the free printable! She's beautiful!